The Eagle is a symbol of majesty, power and freedom. 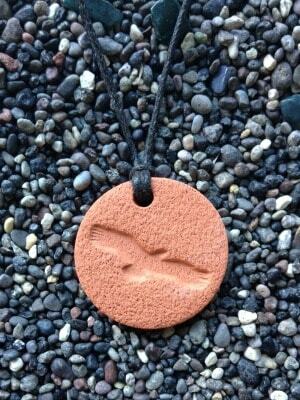 A sacred spiritual messenger in the North American culture, it brings peace, fertility, strength and courage. The eagle represents spiritual protection, healing and wisdom. Eagles fly higher than other birds, giving them a perspective of the bigger picture that we often are lacking, connecting us with the divine and encouraging us to reach higher, dream bigger and to let those dreams take flight. The Eagle Pendant measures 2.8cm (1 1/8in) across.